The discovery Saturday of a gray whale swimming in the Mediterranean Sea off Israel has been labeled by Robert Brownell, a prominent cetacean researcher, "the most amazing sighting in the history of whales." To be sure, scientists are perplexed as to how the gray whale might have traveled from the Pacific to the North Atlantic, where the species is believed to have been extinct for about 300 years. Moreover, if other gray whales also have gained access to the Atlantic (the most likely entry point to the Mediterranean), could this mark the beginning of a re-population effort by a species not encountered in the region since the late 17th or early 18th centuries? And might that re-population be plausible thanks to a diminishing ice cover in the Arctic region, where the North Pacific stock of gray whales feeds during the summer, providing pathways to the Atlantic? Brownell, a scientist with the National Oceanic and Atmospheric Administration, added: "We've had other strange sightings, like narwhals from the U.K. or Japan, but those are still within the same ocean basin that they're known to occur in. So they're unusual but not as unusual as something showing where it had once gone extinct." The 40-foot whale was spotted more than a mile beyond Israel's Herzliya Marina, close to Tel Aviv, and followed and photographed for two hours by scientists from the Israel Marine Mammal Research & Assistance Center. They initially assumed it was a sperm whale because, like gray whales, it lacked a dorsal fin. But the mammal was later positively identified as a gray whale. Erich Hoyt of the Whale and Dolphin Conservation Society blogged on Monday: "Discounting the possibility of the Panama or Suez canals, I suggest that the Northwest Passage is the most likely entry route. In August, 2007, it was announced that the Northwest Passage was nearly ice-free for the first time and these conditions continued into the summer of 2008." To be sure, gray whales could not have survived in the North Atlantic unnoticed for 300 years, so it's universally agreed that this particular whale hails from the eastern North Pacific stock--the only viable population of gray whales, numbering about 19,000 animals. These whales are renowned travelers; they feed during the summer in the Bering and Chukchi seas, and migrate each winter more than 5,000 miles to mating and calving grounds off Baja California, Mexico. To reach the Atlantic by means other than an Arctic route, they'd have to either swim through the Panama Canal or continue another 8,000 miles to the south and round Cape Horn at the bottom of South America. Historically there were three distinct populations of gray whales--the eastern North Pacific stock; the North Atlantic stock, and the Korean or western Pacific stock. It is not known what the whale was doing in the Mediterranean, when it entered the Atlantic or whether it was the only gray whale to have strayed into that ocean. "It might have taken some friends," Brownell said, adding that if gray whales are afforded fairly regular access to the Atlantic, it is not implausible for a re-population to occur. Wonderful story of a whale visitor to the sea near Israel. Israel is full of surprises. Everyone should visit, it will be an experience of a lifetime. nations in phasing out whaling. Banning all forms of whale hunting is true conservation! Few days left to make our voices heard. 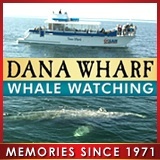 Delegates from around the world will be joining to determine the future of the whales. A number of pro whaling nations are seeking to lift the ban and hunt openly, help save the whales !! !